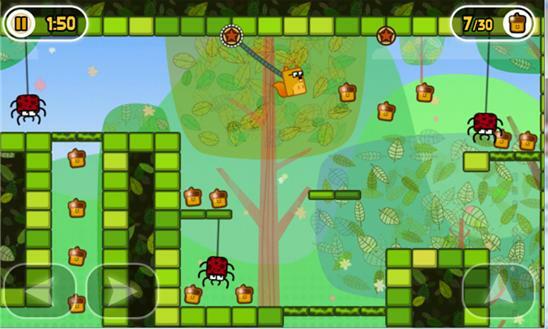 Guide Mr. Nibbles the acorn hoarding squirrel through a variety of levels in this charming platforming adventure. Collect the acorns scattered around each zone to stock up for winter. Featuring super simple controls, a variety of game mechanics with a cute and lovable look, Little Acorns is an adventure that is completely at home on Windows Phone® • LITTLE ACORNS...BIG GAME Little Acorns features 80 cleverly designed levels to explore! Spread out over 4 seasons and 4 years, you'll be hunting nuts for hours on end! • SEASONED GAMEPLAY Fluid, simple platforming controls that mean players of all skills can enjoy this captivating adventure. With classic platformer gameplay, mixed with a modern visual style, you'd be nuts not to love it. • SQUIRREL POWER! Collect power-ups to save time and grab high scores including a time stopping clock and an invulnerability crash helmet. 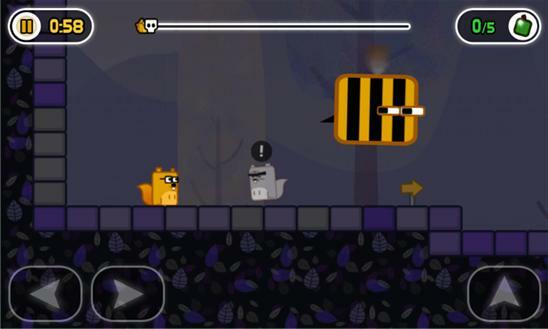 Dodge or defeat a variety of enemies including dopey caterpillars and hanging spiders on your way to collecting all the acorns and fruit in the game!